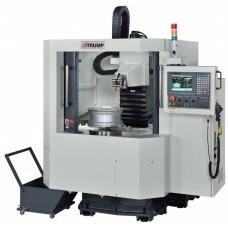 For over 30 Years Worldwide Machine Tool has sold the ATrump Machinery line of machine tools for manufacturers. 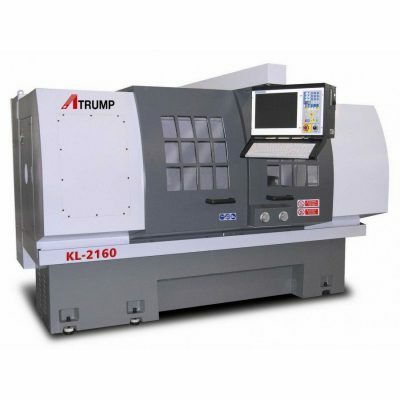 ATrump Machinery offers excellent quality and design across their entire line of milling machines, lathes, cnc milling machines, vertical machining centers and tool and cutter grinders. Worldwide Machine Tool is proud to be an exclusive Atrump Machinery dealer for machinists and manufacturers. We provide complete sales, service and parts for Atrump Machinery and have a large satisfied customer base. Worldwide Machine Tool has visited the Atrump manufacturing facility and seen first hand the quality, care and attention that they put into each machine tool. 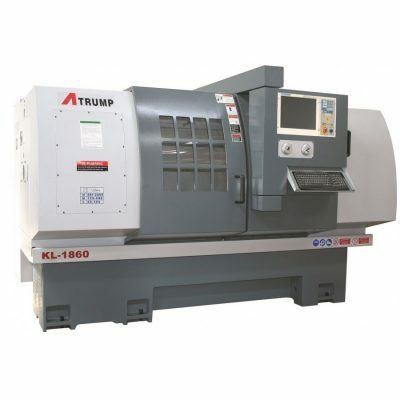 To recieve a quote for a Atrump Machinery product call Worldwide Machine Tool at 614-255-9000. New Atrump milling machine for sale. Atrump Machinery milling machines are designed using the Bridgeport milling machine design. Atrump stands behind every milling machine with superior quality, service and parts. For more than 30 years Worldwide Machine Tool has sold Atrump milling machines to thousands of satisfied machinists worldwide. Every Atrump milling machine is built with rigid Meehanite castings, precise table travels, reliable motors and electronics. Each Atrump milling machine can be equipped with a wide selection of milling accessories and tooling to fit your requirements. All Atrump milling machines are backed by Worldwide Machine Tool’s trustworthy customer service, trained Atrump service technicians and Atrump parts. Call Worldwide Machine Tool at 614-255-9000 for a new Atrump milling machine quote. For over 30 years machinist worldwide have relied on the superior build quality of the Atrump cnc knee mill and cnc bed mill. 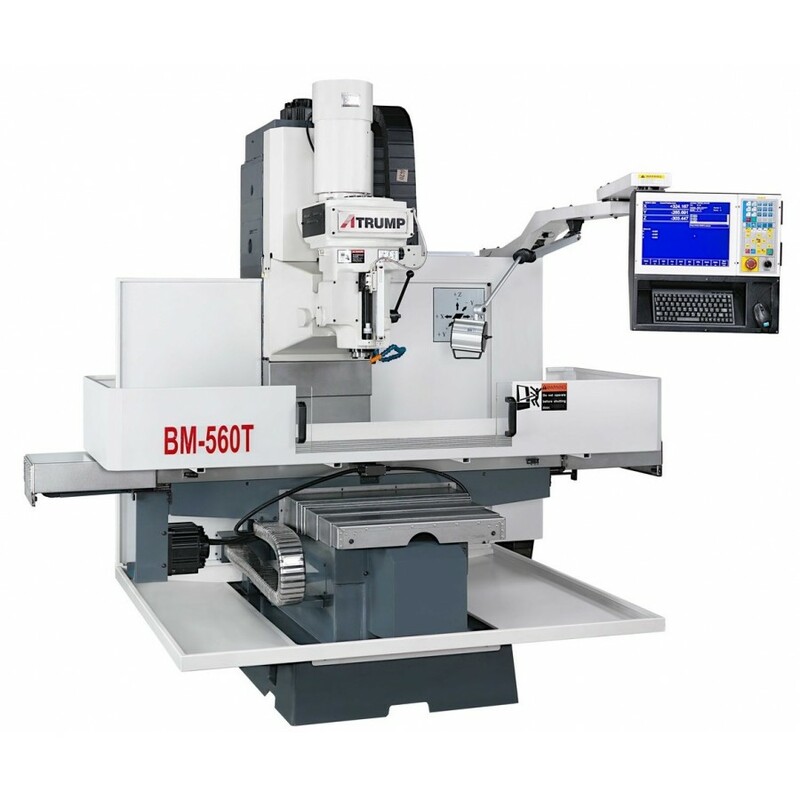 Each Atrump CNC mill for sale comes equipped with the Centroid series CNC control. The Centroid CNC series control is the easiest control in the market to learn and use on a daily basis. With powerful probing features, easy on screen part creation, and it’s simple to use interface. The Centroid CNC control on each Atrump CNC knee mill and bed mill for sale is an excellent choice. In addition all Atrump CNC milling machines come with hardened and ground Turcite guide ways and are 100% laser tested for positioning accuracy. 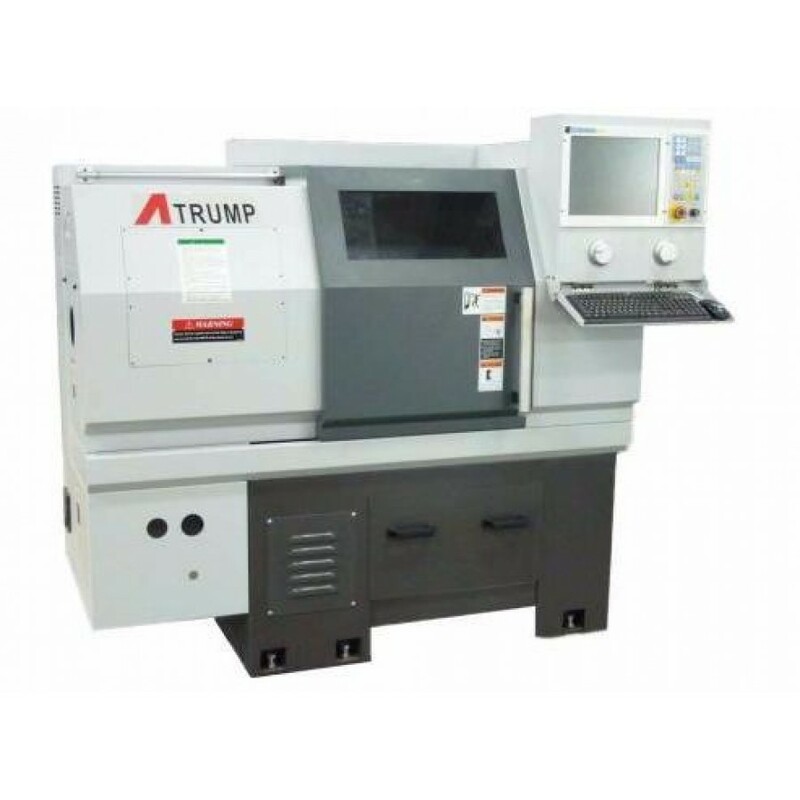 The Atrump cnc mill is simply an excellent solution for machinists, shops and manufacturers worldwide. Model A1-5T – In Stock! Model K-2 – In Stock! 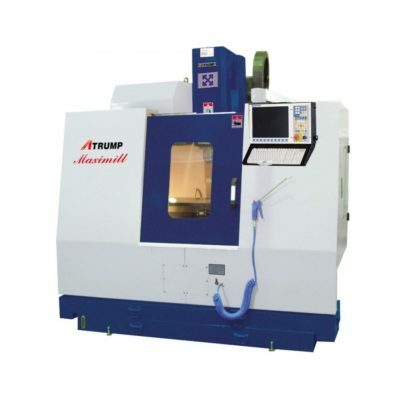 For over 30 years machinist worldwide have relied on the superior build quality of the Atrump Machinery vertical machining center. 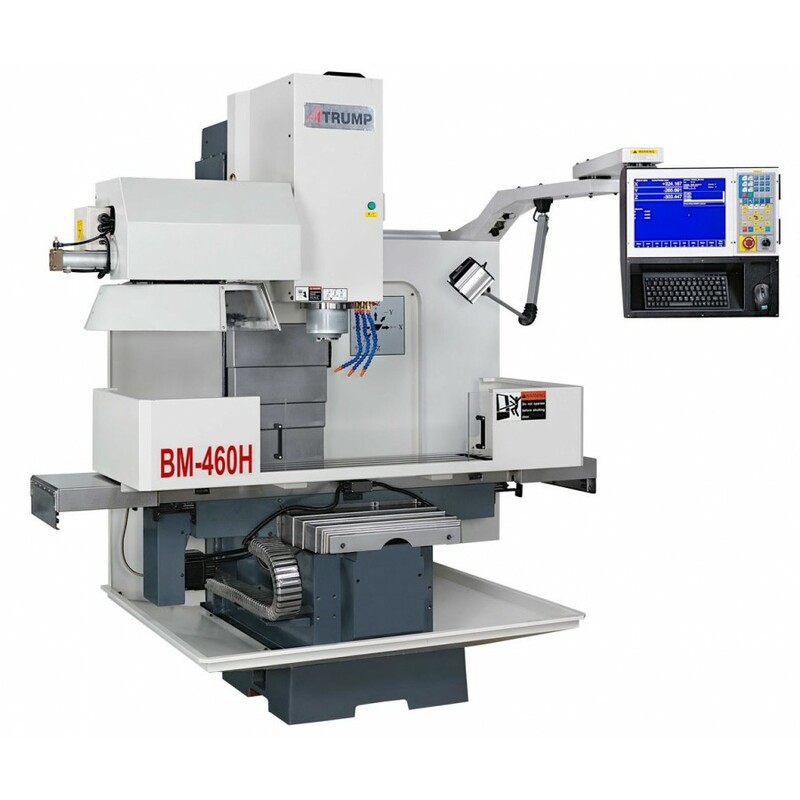 All Atrump vertical machining centers for sale come with the Centroid series CNC control. The Centroid CNC control is the easiest control in the market to learn and use on a daily basis. With powerful probing features, easy on screen part creation, and it’s simple to use interface. 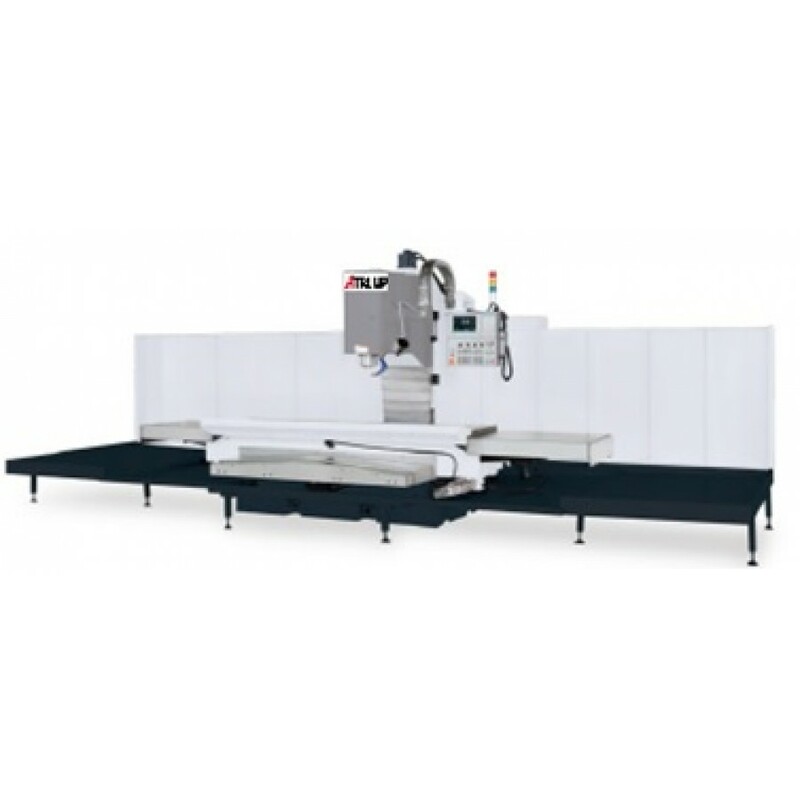 The Centroid CNC control on each Atrump VMC for sale is an excellent choice. All Atrump Vertical Machining Centers come with hardened and ground Turcite guide ways and are 100% laser tested for positioning accuracy. The new Atrump VMC’s come with liniear guideways and box square ways featuring a newly designed vertical machining centers for manufacturers. 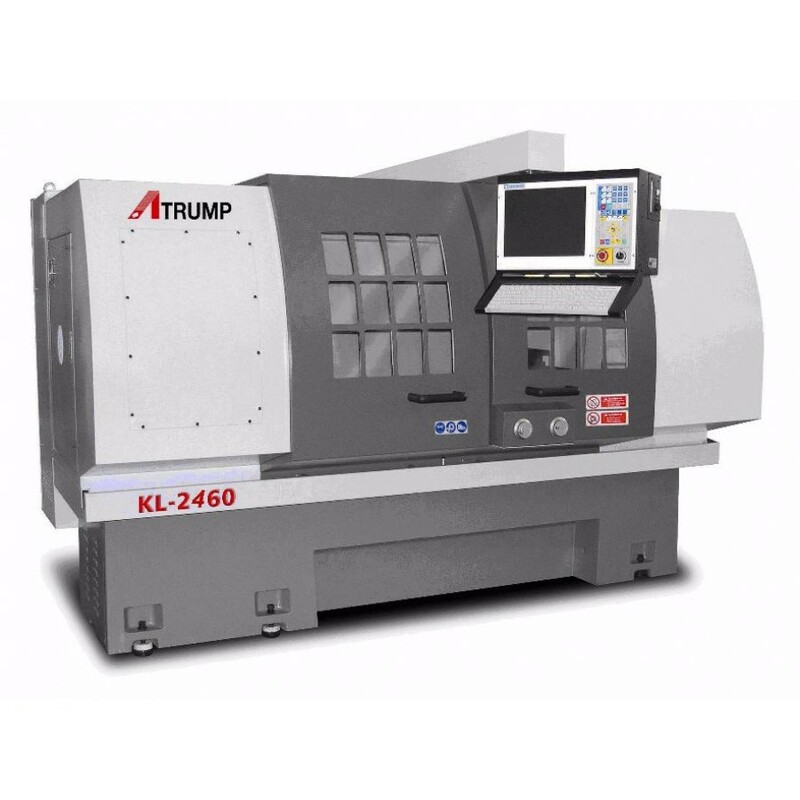 The Atrump Machinery CNC lathe line provides outstanding value and capabilites for machine shops and manufacturing plants. All Atrump CNC lathes for sale come with the Centroid series CNC control. The Centroid CNC control is the easiest control in the market to learn and use on a daily basis. With powerful probing features, easy on screen part creation, and it’s simple to use interface. The Centroid CNC control on each Atrump CNC lathe for sale is an excellent choice. All Atrump CNC lathes come with hardened and ground Turcite guide ways and are 100% laser tested for positioning accuracy. C5 double nut precision ballscrews and a massive one piece casting construction provide quality and rigidity needed for superior CNC lathe production.